The morning desert safari tour will start with our staff picking you up from your doorstep be it anywhere in Dubai. This will mark the beginning of your journey into the beautiful red dune desert of Dubai commonly known as AL-HEBAB. Using the most comfortable an luxurious 4×4 SUVs driven by extremely experienced, licensed and certified drivers to assure a comfortable and safe journey. 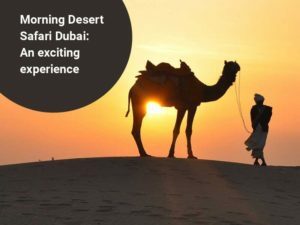 You will be picked at 7:30 in the morning and take you on an outstanding journey showcasing the simple desert lifestyle which has been a part of Dubai’s culture for decades. Read More – Why are Dubai Safari Trips So Popular? After picking you up from the location you want us to, we will take you on a thrilling and adventurous sand dune drive on the most mesmerizing red dunes in Dubai. The ride up and down in the sand provides with an unmatched experience to the tourists while increasing their appetite as they get near to the campsite. Our luxurious and fully furnished are a perfect place to sit back and relax after bumpy dune ride, you will be getting endless amount of drinks to keep you refreshed and hydrated. On reaching the campsite, we will provide you with quad bikes for buggy ride, they have been specially designed keeping in mind your safety. Our highly experienced guides will give you instructions to safely ride the quad bikes and have an experience of a lifetime. Quad bike ride is not for the one with a weak heart, it will give you the most extreme adrenaline rush ever. However, you can choose sand boarding too, to make the trip even more thrilling and adventurous. People who prefer a calm morning while getting lost in the beauty of the magnificent golden desert can enjoy an hour long camel ride while sipping onto a refreshing drink to beat the heat. Professional photographers will be at your service too so that you can cherish the memorable moments for the rest of your life. Traveling to a City, and Trying to Find Cool Activities to Do ? Best known for offering deals on services, Groupon also makes a great way to find unique offerings in new cities! On a recent trip to Los Angeles, I utilized it to find fun activities not included in the tourist books. Below are a few of the unique offerings I found! For $29, I got to spend a night sipping wine, and working on my artistic ability. While our painting was a bit more difficult than one might expect for a wine and paint night, it was still a fun experience that I would highly recommend. Spending the day on the waves is never a bad idea! For $82, I got the opportunity to take a 90-minute surf lesson where I learned the basics of surfing, and even caught a couple waves. The price included the lesson, a wetsuit, and a surf board. The instructors were very attentive, ensuring that each person in the class had the opportunity to catch at least one wave. This is the best $11 boat ride I have ever been on! Originally costing $38 per person, this deal allowed me to spend 2 and a half hours cruising in open water looking for whales. While we unfortunately did not see any dolphins, we did have the opportunity to see plenty of seals! The boat allows you to bring your own snacks and drinks aboard, and also has a snack bar on board. This is a great way to spend an afternoon, hanging out in the water! Imagine sailing out of the Newport Beach Marina as the sun is setting, it is truly a breathtaking site. Luckily I got to experience it thanks to this deal! For $12, I got to eat complementary chips and salsa, while sipping the specialty drink, a Newport Bay margarita. This refreshing beverage is the perfect accompaniment to this delightful sunset cruise. As you cruise along the Newport Beach front you can see bonfires glistening from the coast line, and other boats sailing out to enjoy the sunset. 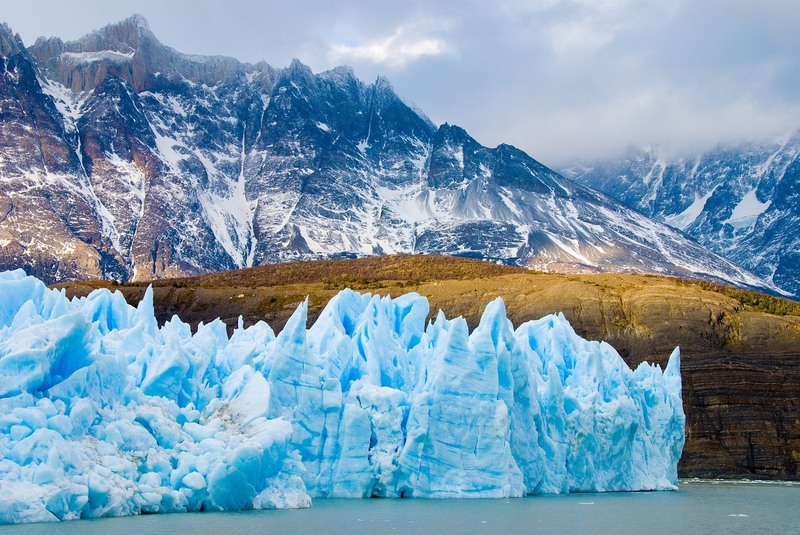 This is truly a one of a kind experience, that can be enjoyed solo or for a romantic getaway. Mission San Juan Capistrano is nicknamed the “Jewel of the California Missions”, and it certainly lives up to its name. Founded over 200 years ago and is a true monument to California’s diverse multi-cultural history, offering a mixing pot of Native American, Spanish, Mexican, and European heritage. Mission San Juan Capistrano was originally built as a self-sufficient community by the Spanish Padres and Native Americans, while the Mission was created as a center for agriculture, industry, education and religion.